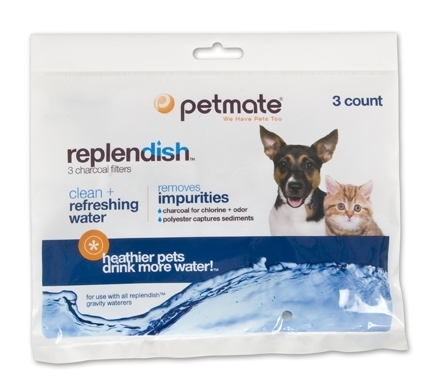 This is the replacement filter for the Petmate Replendish Waterer. The filter should be changed every 6 to 8 weeks. 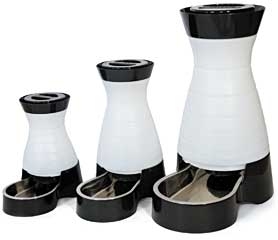 The PetSafe Healthy Pet Water Station will revolutionize your pet&#39;s drinking water and your home environment. 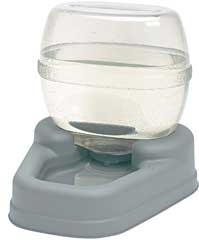 Your pet gets fresh water, whenever she needs it, served in a stainless steel bowl. 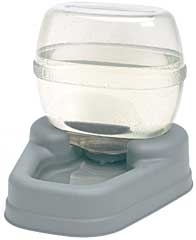 It is the first gravity water system with a removable stainless steel bowl. Easy to keep clean, dishwasher safe. 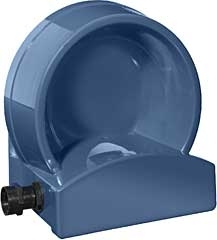 Lock-in place reservoir and flow-control valve to prevent spills. Handle on reservoir for carrying convenience. Optional purifying filter, sold separately. Provides continuous supply of fresh water. Connects to garden hose and refills automatically. Will not overflow. Floor or wall mount. Durable and reliable.